Creatine is a metabolite produced in the body composed of three amino acids: l-methionine, l-arginine and l-glycine. Approximately 95% of the concentration is found in skeletal muscle in two forms: creatine phosphate and free chemically unbound creatine. The remaining 5% of the creatine stored in the body is found in the brain, heart and testes. The body of a sedentary person metabolizes and average of 2 grams of creatine a day. 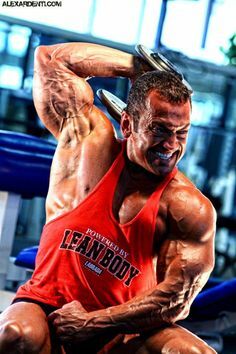 Bodybuilders due to their high intensity training metabolize higher amounts than that. Creatine is generally found in red meats and to some extent in certain types of fish. However it would be hard to get the amount of creatine necessary for performance enhancement as even though 2.2lbs of red meat or tuna contain approximately between 4 to 5 grams of creatine, the compound is destroyed with cooking. Therefore, the best way to get creatine is by taking it in powder form. 2. Creatine’s ability to enhance ATP production. Basically, once the creatine is stored inside the muscle cell, it attracts the water surrounding such cell thereby enlarging it. This super hydrated state of the cell causes nice side effects such as the increase of strength and it also gives the appearance of a fuller muscle. Some studies suggest that a super hydrated cell may also trigger protein synthesis and minimize catabolism. In addition, creatine provides for faster recovery in between sets and increased tolerance to high volume work. The way it does this is by enhancing the body’s ability to produce Adenosine Triphosphate (ATP). ATP is the compound that your muscles use for fuel whenever they contract. ATP provides its energy by releasing one of its phosphate molecules (it has three phosphate molecules). After the release of such molecule, ATP becomes ADP (Adenosine Diphosphate) as it now only has two molecules. The problem is that after 10 seconds of contraction time the ATP fuel extinguishes and in order to support further muscle contraction glycolisis (glycogen burning) has to kick in. That is fine and well except for the fact that as a byproduct of that mechanism lactic acid is produced. Lactic acid is what causes the burning sensation at the end of the set. When too much lactic acid is produced, your muscle contractions stop, thereby forcing you to stop the set. However, by taking creatine, you can extend the 10 second limit of your ATP system as creatine provides ADP the phosphate molecule that it is missing (recall that creatine is stored in the muscle as creatine phosphate). By upgrading your body’s ability of regenerating ATP, you can exercise longer and harder as you will minimize your lactic acid production and you will be able to take your sets to the next level and reduce fatigue levels. More volume, strength and recovery equals more muscle (assuming nutrition and rest are dialed in). Creatine also seems to also allow for better pumps during a workout. This may be due to the fact that it possibly improves glycogen synthesis. In addition, studies have shown that creatine helps lower cholesterol and triglyceride levels. The mechanisms by which it exerts such benefits remain unknown. If you read the bottle, most companies recommend a loading phase of 20 grams for 5 days and 5-10 grams thereafter. While that is the commonly accepted way to use it, in my own experimentation I have found no benefit to loading. I have even gone as far as loading for 7 days with 40 grams a day and found no difference. 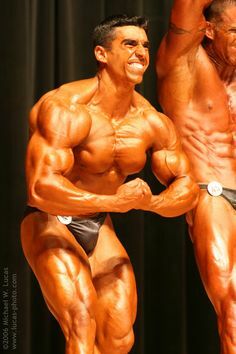 As a matter of fact, my training partner only took 5 grams a day after the workout and started getting great results after only a couple of weeks. The reason for this is simple. There is only so much creatine that the body can store. Recall that the creatine is stored every time that you take it. So by taking it every day eventually you will reach the upper levels that provide the performance enhancement. After you reach that level, you could get away with just taking it on your weight training days as it takes two weeks of no use for the body’s creatine levels to get back to normal. Another point to talk about is the issue of cycling creatine. If creatine would be a supplement that loses its effectiveness as time goes by then I would recommend cycling. For example, it is beneficial to cycle fat burning supplements containing caffeine and ephedrine as the body’s receptors begin to attenuate after 2 to 3 weeks of continual use. Once the body gets used to them, you need to either increase the dosage or stop their use so that the body begins to respond once again. However, that is not the way that creatine works. Basically, creatine gets stored into your muscles and you get the effects mentioned above, period. It is really straightforward. As far as the initial weight gain that you may experience when you start taking it, whether you cycle it or not, you will get the same amount of initial weight gain as that extra weight is determined by the amount of intracellular fluid retention that your muscle cells can store (something that remains a static figure). 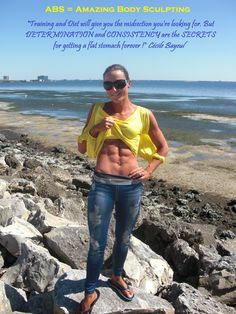 The reason I say “the weight gain that you may experience” is because if once you start taking it you concurrently increase the volume of your workouts and remain at the same caloric intake level you may lose fat as you gain your added muscle volume and because of that the scale might not register any weight gain (this is what happened to my training partner). However, the lack of “registered” initial weight gain by the scale does not mean that you are a “non-responder”. To gauge creatine’s efficacy on you judge it by the muscle appearance effects and the performance enhancement in the gym. The only adverse side effect that I have experienced in my over two years of continual use is the gastric upset at the beginning of use. After a couple of weeks or so my system adapted to absorbing the powder. Other than that, I have not observed any other side effects. Keep in mind however that the liver and kidneys have to process this compound. Therefore, I would not recommend it for someone with kidney problems or liver problems. Also, even if you are completely healthy ensure more than adequate hydration levels (bodyweight x 0.66 = total ounces of water to drink per day) and if you drink coffee, add an extra 16 ounces of water for every cup that you drink over the day. A side effect that I have read happened but I am unable to quantify is the fact that your body’s production of creatine shuts down. However, after cessation of use, according to all of the literature your body’s production kicks in again. No adverse effects have been documented due to the creatine shutdown created by the body. 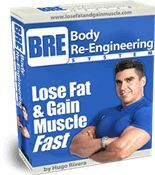 In my view the greatest advantage that creatine gives you (besides the cosmetic effect of bigger looking and fuller muscles) is that it enables you to handle more volume and recover faster in between sets by upgrading the body’s capabilities to produce ATP, thereby decreasing the production of lactic acid. Therefore, in my opinion, people that will get the most benefit from creatine are those that follow a high volume, short rest in between sets type of workout. Remember that the more work that you can cram into an hour the more you’ll grow (provided good cycling of volume and intensity as we have discussed in previous articles). Again, like I have said in previous articles, even though I believe that creatine is a safe supplement, don’t take my word for it if you have doubts. Do your own research and objectively review the data. If you feel creatine may be good for you, then just follow the recommendations laid out in this article and provided your overall training and nutrition strategy are good, I guarantee that you will see results from it. Good brands of creatine that I have used are Prolab, EAS, Champion Nutrition, Labrada, Beverly International, Met-Rx and iSatori. 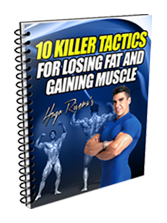 Do You Need to Gain Excessive Weight To Gain Muscle? Agree with you 100%. I don’t load and don’t recommend it. Just supplement with 3-5g daily and that should be fine for most. Before or after workout, there is minimal difference and it’s hard to know what is optimal. Great article.